HÀ NỘI — Võ Thị Kim Phụng took first place in the Women’s Category at the Asian Continental Chess Championships, which is ongoing in China. 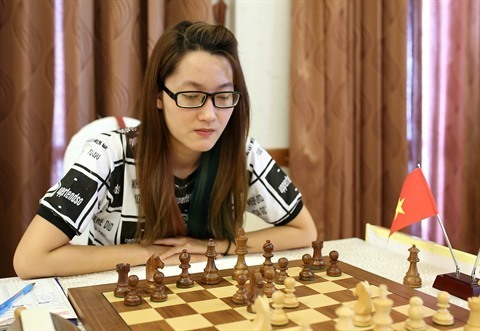 Women’s Grandmaster Phụng beat teammate WGM Hoàng Thị Bảo Trâm yesterday in the sixth round. Phụng has five points and replaces her teammate International Master (IM) Phạm Lê Thảo Nguyên in the first position. Nguyên took a draw versus WGM Nakhbayeva Guliskhan of Kazakhstan and also has five points but she is down to No 2 because of lower parameter. Phụng will next play No 5 WGM Tokhirjonova Gulrukhbegim of Uzbekistan, while Nguyên will see No 3 WIM Ramesh Babu Vaishali of India.